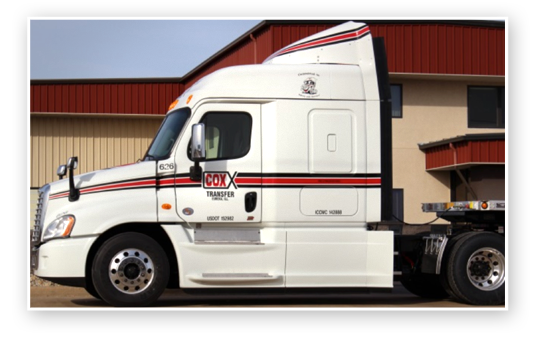 Cox Transfer, Inc. has invested heavily in tractors and trailers. 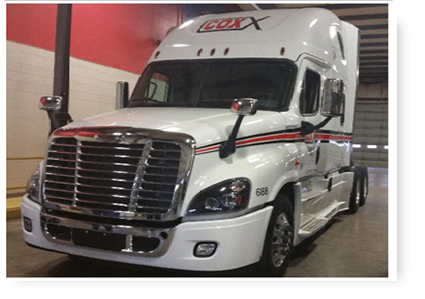 We are proud to have a new and dependable fleet, and keep them clean with our truck wash program. Know that whether you are driving our equipment or loading, you will be able to do this in the latest technology and comfort. Our fleet of company-owned day cab and sleeper units have an average age of 2 years. These units are well equipped to meet EPA Smartway Certification and provide a safe operating environment for our drivers.